Massimo Alfano was born in Bergamo, Italy, in 1967, and obtained both his Degree in Biological Science at the University of Milan in 1992, where he also received his PhD in 2001. Since 1995, he has been involved with AIDS research in the AIDS Immunopathogenesis Unit of the San Raffaele Scientific Institute. From 1997 to 2000 he was Post-doctoral Investigator in the Laboratory of AIDS Molecular Biology, lead by Michael Bukrinsky, at the Picower Institute in NY, USA. Since 2001 Massimo Alfano is a Staff Scientist in the AIDS Immunopathogenesis Unit of the San Raffaele Scientific Institute. He is author of more than 50 scientific articles and reviews published on international peer-journals. Massimo Alfano is coordinating projects aimed to the comprehension of cellular factors modulating HIV infection, with the scope of identifying restriction factors (i.e., proteins or receptors) that could help in the characterization of viral latency and expression. Targeting cellular rather than viral genes may have advantages in terms of conservation of the gene and lack of selection of viral resistant mutants in comparison to canonical anti-retroviral therapy. -	1990-92: Research internship at the Biomedical Engineering Laboratory, Mario Negri Institute for Pharmacological Research, Bergamo, Italy. -	1992-95: Research fellowship at the Laboratory of Biochemistry, Scientific Institute H.S. Raffaele. -	1995-96: Consulting biologist at the Experimental Endocrinology Laboratory, Department of Pharmacology, University of Milan. -	1995-96: Research fellow at the AIDS Immunopathogenesis Unit, DIBIT, San Raffaele Scientific Institute. -	1997-2000: Postdoctoral Investigator at the Laboratory of Molecular Biology of HIV, The Picower Institute for Medical Research, New York. -	9/11-2000: Adjunct Scientist at the Laboratory of Cellular and Molecular Biophysics, NICHD, National Institute of Health (NIH). -	2000-01: Research Scientist, AIDS Immunopathogenesis Unit, DIBIT, San Raffaele Scientific Institute. -	2002-2005: Staff Scientist, AIDS Immunopathogenesis Unit, DIBIT, San Raffaele Scientific Institute. -	2007: Scientific Tutor (code number C0000410, protocol number 00027 January 19, 2007) for two INGENIO projects (sponsored by Regione Lombardia, Milan, Italy; www.ingenio-lombardia.it). -	2009: Editor for the E-book "Soluble factors mediating innate immune responses to HIV infection". Bentham Science Publishers. -	2005 to date: Senior scientist, AIDS Immunopathogenesis Unit, DIBIT, San Raffaele Scientific Institute, Milan, Italy. -	2005 to date: Senior Investigator, AIDS Immunopathogenesis Unit, DIBIT, San Raffaele Scientific Institute. -	2005 to date: Contract Professor/Tutor of the General Pathology and Immunology course, Vita-Salute University, San Raffaele Scientific Institute, Milan, Italy. -	2006 to date: Contract Professor of the Immunotoxins course, Vita-Salute University, San Raffaele Scientific Institute, Milan, Italy. Projects lead by Massimo Alfano are investigating viral steps and cellular factors inhibited by intracellular signaling mediated by extracellular receptors and ligands; in addition he has set up the conditions to analize these factors in histocultures of lymphoid organs. Pertussis toxin B-oligomer. 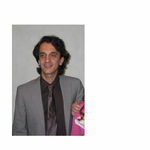 Massimo Alfano has shown that is possible to intervene on signal transduction in primary cells and inhibiting HIV infection at multiple steps and on multiple viral targets such as T cells, monocytic cells, lymphoid tissue, in in-vivo infected animals and on NK cells that are targeted by the viral protein Tat. In particular, Massimo has been the first to discover a non-competitive CCR5 antagonist. By using the non-toxic component of pertussis toxin (B-oligomer), Massimo has shown that heterologous desensitization of CCR5 results in inhibition of HIV entry into target cells. Findings from this project have been patented. Current goals are: (1) the identification of the signal transduction pathway(s) triggered by PTX-B and involved in the regulation of HIV replication; (2) the identification of the domain(s) of PTX-B responsible for its anti HIV activity, and (3) the identification of the receptor(s) mediating PTX-B binding to CD4+ target cells. Aim of the last two goals is to identify a minimal domain maintaining the anti-HIV activity, or ligand leading to compounds available for a clinical trial. Urokinase plasminogen activator. Massimo has published different manuscripts about the anti-HIV activity of the urokinase plasminogen activator (uPA), showing that uPA (or its binding domain, ATF), via binding to its receptor (uPAR) mediated entrapment of HIV virions into intra-cytoplasmic vacuoles, in particular studying ex-vivo and in vitro infected monocyte-derived macrophages and chronically HIV infected promonocytic U1 cells differentiated to macrophage-like cells by the phorbol ester PMA, and in lymphoid tissue but not in mitogen-activated PBMC. We have reported that uPA, as well as its ATF, inhibits the release of HIV virions from monocytic cells by inducing their entrapment into intracellular vacuoles, resembling the anti-HIV activity exerted by either IFN-γ or MCP-1. We have further demonstrated that the enzymatic-independent activity of uPA is mediated by its binding to uPAR followed by engagement of vitronectin and the consequent vitronectin dependent adhesion. In fact, in U1 cells the anti-HIV activity of uPA was lost when cells were culture in the absence of cellular adhesion or absence of vitronectin (VN). These findings suggest that the anti-HIV activity of the uPA(ATF)/uPAR/VN system is mediated by cellular adhesion, and that the consequent re-organized cytoskeleton is responsible for the virions entrapment. The anti-HIV activity of the uPA/uPAR system is independent by the VN receptor (αVβ3 integrin) as well as by α6, αX or β3 integrin chains, but is strongly dependent on β1 and β2 integrin chains. Based on the facts that i) uPA-mediated cellular adhesion is VN-dependent, ii) that adherent cells entrap virions intracellularly, iii) that blocking of β1/β2 chains does not prevent uPA-induced cellular adhesion but reversed its ability to inhibit HIV budding, a potential model connecting the multiple events induced by the of uPA/uPAR system is the following: the uPA(ATF)/uPAR complex works like a pseudo integrin alpha chain. The uPA/uPAR complex is bound by VN that provides the first step for adhesion, then the uPA/uPAR/VN complex engages β1 or β2 integrin chain that delivers intracellular signalling(s) responsible for the generation of intracellular vacuoles in which virions are entrapped. These findings also suggest that the uPA/uPAR/VN complex may act like a pseudo integrin α ?chain. Thus, the main point of the proposed mechanism is that an intracellular signalling is generated upon cellular adhesion, leading to cytoskeleton rearrangement and accumulation of intracellular vacuoles. Next goals in this project are: (1) the characterization of the step of the HIV life cycle interfered by uPA/uPAR in acutely infected cells, (2) the identification of the signal-transducing receptor involved in the inhibitory signal (since uPAR is a GPI-anchored protein unable to signal directly), and (3) characterization of primary cellular subtypes entrapping virions as consequence of uPA and uPAR expression. Lymphoid tissue histocultures as models of HIV latency and replication. In collaboration with Leonid Margolis of the NIH we have optimized a method for cultivating and infecting lymphoid tissues blocks in the absence of exogenous stimuli. We have already validated the anti-HIV activity of PTX-B and uPA (see the above projects) in this system, and we are investigating the system as potential model for studying the mechanisms governing HIV latency and replication. Latently infected cells represent indeed the main obstacle to viral eradication by anti-retroviral therapy. 1. Alfano M., Grivel J.C., Ghezzi S., Corti D., Trimarchi M., Poli G., Margolis L. Pertussis toxin B-oligomer dissociates T cell activation and HIV replication in CD4 T cells released from infected lymphoid tissue. AIDS. 2005 Jul 1;19(10):1007-1014. 2. Rizzi C., Crippa M.P., Jeeninga R.E., Berkhout B., Blasi F., Poli G., Alfano M. Pertussis Toxin B-oligomer suppresses IL-6 induced HIV-1 and chemokine expression in chronically infected U1 cells via inhibition of activator protein 1. J. Immunology. 2006 176:999-1006. 3. Elia C., Cassol E., Sidenius N., Blasi F., Castagna A., Poli G., Alfano M. Inhibition of HIV Replication by Plasminogen Activator Is Dependent Upon Vitronectin-Mediated Cell Adhesion. Journal of Leukocyte Biology. 2007 Nov;82(5):1212-20. 4. Massimo Alfano, Chiara Rizzi, Guido Poli, Priscilla Biswas. HIV-1 infection of promonocytic U937 and U1 cell lines. Clonal distribution of innate restriction factors. In: HIV and the Macrophage, 2007:89-113 ISBN: 81-7895-271-8. Transworld Research Network. 5. Raina N. Fichorova, Nicola Richardson-Harman, Massimo Alfano, Laurent Belec, Cedric Carbonneil, Silvia Chen, Melanie Cokonis, Lisa Cosentino, Kelly Curtis, Charlene S. Dezzutti, Betty Donoval, Gustavo F. Doncel, Melissa Donaghay, Jean-Charles Grivel, Esmeralda Guzman, Madeleine Hayes, Betsy Herold, Sharon Hillier, Carol Lackman-Smith, Alan Landay, Leonid Margolis, Kenneth H. Mayer, Jenna-Malia Pasicznyk, Guido Poli, Paula Roberts, Irma Rodriguez, Hela Saidi, Rosaria Rita Sassi, Robin Shattock, James E. Cummins. Biological and Technical Variables Affecting Immunoassay Recovery of Cytokines from Human Serum and Simulated Vaginal Fluid: A Multicenter Study. Analytical Chemistry, May 17, 2008. 6. Ferrarini M., Delfanti F., Gianolini M., Rizzi C., Alfano M., Lazzarin A., Biswas P. NF-Kb modulates sensitivity, proinflammatory and migratory potential in short- vs long-term cultured human γδ lymphocytes. J Immunol. 2008 Nov 1;181(9):5857-64. 7. Massimo Alfano, Ph.D., Andrea Crotti, M.S., Elisa Vicenzi, Ph.D., & Guido Poli, M.D. New Players in Cytokine Control of HIV Infection. Current HIV/AIDS Reports, 5;27-32, 2008. 8. Alfano M., Mariani S.A., Elia C., Pardi R., Blasi F., Poli G. Ligand-engaged Urokinase-Type Plasminogen Activator Receptor (uPAR) and The CD11b/CD18 (Mac1) Integrin Inhibit Late Events of HIV Expression in Monocytic Cells. Blood 2009 Feb 19;113(8):1699-709. 9. Abbadessa G., Accolla R., Aiuti F., Albini, A., Aldovini A, AlfanoM., et al. Unsung Hero Robert C. Gallo. Science, 2009 January 9, 323:206-7. 10. Cassetta L., Fortunato O., Adduce L., Rizzi C., Hering J., Rovere-Querini P., Bianchi M.E., Alfano M.*, Poli G.*. Extracellular HMGB1 Inhibits Replication of both CCR5- and CXCR4-Dependent HIV-1 Strains in Human Mononuclear Phagocytes Without Induction of Pro-Inflammatory Cytokines and Chemokines. Submitted. *Equal contribution. AIDS, 2009, Feb 3. 11. Cassol E., Cassetta L., Rizzi C., Alfano M., Poli G. M1 and M2a polarization of human monocyte-derived macrophages inhibits HIV-1 replication by distinct mechanisms. Journal of Immunology, 2009, 182:6237-6246. 12. Chiara Urbinati, Stefania Nicoli, Mauro Giacca, Guido David, Simona Fiorentini, Arnaldo Caruso, Massimo Alfano, Luca Cassetta, Marco Presta and Marco Rusnati. HIV-1 Tat and heparan sulfate proteoglycan interaction: a novel mechanism of lymphocyte adhesion and migration across the endothelium. Blood, 8 October 2009, Vol. 114, No. 15, pp. 3335-3342. 13. Edana Cassol, Susan Malfeld, Phetole Mahasha, Schalk van der Merwe, Sharon Cassol, Chris Seebregts, Massimo Alfano, Guido Poli and Theresa Rossouw. Persistent Microbial Translocation and Immune Activation in HIV-1-Infected South Africans on Combination Antiretroviral Therapy. Journal of Infectious Diseases, 2010:202 (1 September). 14. Edana Cassol, Luca Cassetta, Massimo Alfano, Guido Poli. Macrophage polarization and HIV-1 infection. Journal of Leukocyte Biology. April, (87):599-608, 2010. 15. Luca Cassetta, Guido Poli & Massimo Alfano. HIV and Cytokines: an Immunopathogenetic Liaison. In: Modern Insights Into Disease From Molecules to Man: Cytokines. Editors; Victor R. Preedy and Ross Hunter. Ed. Science Publishers. April 2011. ISBN: 978-1-57808-690-0. Project Summary. Macrophages represent one of the targets of HIV infection, and are also important in regulating anti-tumor responses. Common to these diseases is the intracellular signaling delivered by the binding of urokinase plasminogen activator (uPA) to its receptor (uPAR), crucial to both tumor development and prevention of HIV release from infected macrophages. Because of the long life-span of HIV infected macrophages and the over-expression of the uPA/uPAR system in HIV infection, tissue resident macrophages might play a role in the generation of malignancies in HIV+ individuals, an emerging problem in individuals successfully treated with combination antiretroviral therapy. Long-term objective of this proposal is to investigate the role of the intracellular signaling delivered by uPAR in M1 and M2 polarized macrophages leading to the generation of a tumor-prone micro-environment. Fundamental to this proposal is the generation of 3 dimensional extracellular matrix in which to embed and differentiate HIV infected monocyte, thus investigating i) the intracellular signaling mediated by the uPA/uPAR system in alternatively polarized macrophages, ii) the relevance of this signaling in polarizing macrophages, iii) the relevance of the uPA/uPAR intracellular signaling in the generation of conditioned culture medium mediating macrophage migration, chemotaxis of monocyte subpopulations, and ability to induce epithelial-mesenchymal transition. The expected findings will allow designing an appropriate therapeutical strategy, such as the delivery of pseudo-substrates blocking the intracellular signaling of the uPA/uPAR system in primary macrophages. Based on the effects mediated by the uPAR signaling, such as generation of tumor microenvironment and of HIV reservoirs, blocking this signal will allow to i) reduce the generation of tumor microenvironment and ii) release the intracellularly stored virions.